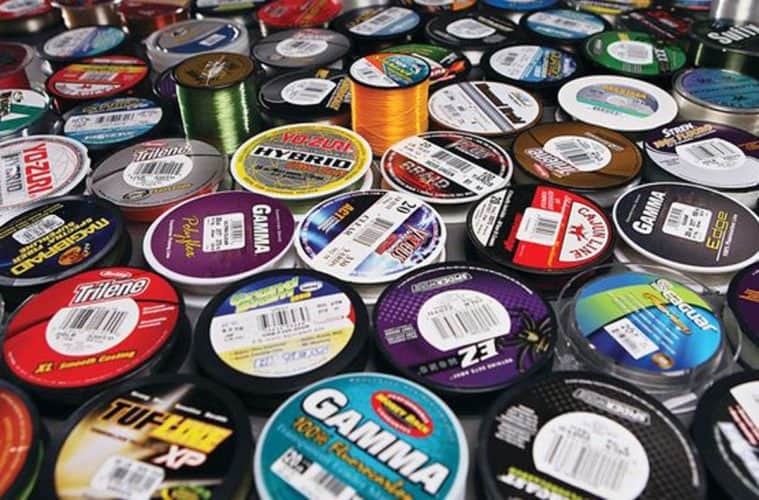 Fluorocarbon, abrasion resistance, mono, braided, visibility… If you’re only starting out on your fishing journey (or even if you’re happily back after an extended hiatus), it can all sound a bit confusing. Wrapping your head about the terminology and the fine distinctions between gear tends to be one of the hardest bits of any new activity, but don’t despair! I’ve got you covered. When people first start fishing they can feel pretty lost. And, as is to be expected, they are prone to make a lot of wrong choices in terms of gear. From poor quality rods to bait totally sunsuited for the fish they are trying to catch, their mistakes can lead to lots of frustration and an eventual abandoning of the sport. My fishing journey now stretches over a period of a couple of decades and my knowledge accumulated through trial and error (mostly! ), but also through meeting experienced anglers along the way who were very generous with the sharing of their knowledge. Like anything else in life, if you are prepared to listen to the experts and copy their behaviour success is surely to follow. So, ideally, you’d get your own wizened old angler to function as a Yoda-like teacher (maybe without the weird grammar, though), but why leave it up to chance? Today, we are a bit lacking in personal connection but we have this awesome platform! In this article, I’ll do my best to sum up the basics on different types of fishing lines, their pros and cons, and what they’re best suited for. This will give you the tools to make your own educated choices and experience more sweet fishing success. First, though, why should you care about types of fishing lines? Well, using the right line means that energy is efficiently transported from your rod to the hook and lure, and that you have the right traction to reel your catch in. Also, different fishing styles and conditions call for different lines. It’s up to you to maximise your own potential! If you want the challenge, read on! Sounds super advanced, right? And, you might argue, for good reason. Monofilament fishing lines are some of the most modern and convenient lines on the market. This makes them incredibly popular with most fishermen (and women) out there. But what, exactly, is monofilament? This line, also called “mono”, is made out of nylon, which is a sort of polymer: plastic with long, interchained molecules. Nylon, and thus monofilament, is not found in nature but produced in plastic processing plants. Most mono lines are made out of one variety of nylon but, on occasion, you will find more specialised options that are made from several varieties. Out of this plastic nylon, a single strand of material is created. Not fused, not joined together, simply made into a long line. These type of line has been around for about 60 years, and has proven to be a staple for any fishing trip. Without it, angling would definitely not be the same. It is said that, out of the total market for fishing lines, monofilament ones take up around a third. Pretty impressive! So, why do people love it so much? What are its main characteristics? It is soft and has nice give, as well as a decent abrasion resistance and ease to tie knots. It doesn’t tend to slip and burn, and is quite affordably priced. You could say a monofilament fishing line is an all rounder: hits most important marks, checks off all necessities, and performs well under normal circumstances. It’s a good option for most anglers. Specifics? First of all, monofilament is inexpensive. Because it’s been around for so long and because the manufacturing process is fairly simple, mono will most likely be your most affordable fishing line type. That makes it great for a beginner’s arsenal, as you might not know for sure if you’ll enjoy angling (though I’m sure you will!). In any case, its economy means you can always keep some as backup. Also important for beginners (as well as for non fussy people who don’t want complications), mono is easy to use. This comes from a combination of factors: it’s manageable, stretchy, and knot friendly. It comes in many colour varieties, because the nylon is easily tinted. Depending on what you’re aiming for, you’ll choose a different colour palette. For example, green or blue for stealth, brighter tones for flaunting your technique. Mono is stretchy— up to a 25% more than other types of lines. This is important because it minimises the chances of your line breaking under pressure or of damaging the fish you’re trying to catch. It has a good track record for shock absorption: it resists sudden impacts, such as a big fish putting up a violent fight. This line is very buoyant: as it sinks slowly, you can use it for those times when you want to limit the sinking factor, or for topwater lures. And, last but not least, it’s easy to knot, meaning it’s versatile without reducing its strength. With mono, you’re compromising some factors in favour of a mostly balanced line. For example, the diameter of monofilament tends to be larger. It’s not all bad, though: while it limits the depth you can reach, you can harness this to limit sinking and to resist abrasion. The enhanced stretch means your line will be less sensitive and won’t detect small movements or bites. Also, because mono lines absorb water, they become less resistant to abrasion and shock when it’s wet. The good side of this is that it’s stretchier, easier to cast and to use. Some more things to keep in mind: with lots of use, monofilament will retain memory and get weaker, as well as deteriorate from prolonged UV radiation. After the all-around “decentness” of monofilament lines, fluorocarbon ones are a welcome change. Keep in mind: this is a more specialised option than its mono counterpart. Though these two fishing line types might look similar to the untrained eye, they have enormous differences (please don’t get jealous, monofilament, I’ll always love you and your jack-of-all-trades personality)! First, let’s tackle the name and material. Fluoro-carbon might actually sound familiar, as it contains a whole family of chemicals. You probably even have some in your house right now: just check the kitchen cabinets for anything made of Teflon or Freon and voila! The kind of fluorocarbon used in fishing lines is called PVDF (polyvinylidene difluoride), and is achieved through a chemical bonding process. It’s a single strand of molecules like monofilament. However, the particles of fluorocarbon are more packed, denser, and heavier. Fluorocarbon is pretty last-gen and makes up about a fourth of the fishing line market. What is it good for? I always use fluorocarbon lines when the water is clear, for cover or hard hooks, and for leading. This sophisticated type of fishing line has many unique benefits. The one people talk about most often is its low visibility. Because the material does not distort light, it blends in with the water. This is helpful for fishing in cover, or when trying to catch suspicious fish. Another great feature of fluorocarbon is its sensitivity, caused by its tighter molecular composition. It also helps that this line sinks fast, leaving no slack to reduce perception. Interestingly enough, this doesn’t mean it’s less stretchy than mono— only that it takes a stronger pull to stretch it. Fluorocarbon lines are resistant to abrasion and UV light, which makes it a good investment and a useful ally for cover and dragging. Besides, it has strong hooking power. And, of course, one of the elements I like the most about this sort of line is that it is waterproof: its performance is not affected when it gets wet, because it doesn’t absorb the water. This type of fishing line has more memory, especially when you fill the spool too much. Keep in mind that the last-generation products are likely to perform better at this point than the older ones. Perhaps the greatest disadvantages of fluorocarbon lines are shock strength (which can be partially solved by loosening the drag) and knot strength (you need to remember to wet the line before tying up). Lastly, it sinks faster than the other lines: it’s bad at topwater, but helpful for bottom baiting. And, not a minor detail, fluorocarbon tends to be expensive. A child of the 90’s, the braid fishing line (or superline) is made from many strong polyethylene microfibers that are razor-thin. These are spun together by a braiding machine to create a core that might be coated with other materials. Braid lines are the most advanced product on the market (and take up about a third of it), and they are being constantly improved. This means that, perhaps in a few years’ time, they’ll be all we need. However, for the time being, they do have limitations. That’s why it’s a good idea to have a variety of fishing line types in your arsenal! The price of these lines is a good one— controversial statement, I know. Of course, they are not cheap by any means, but they are durable, thanks to their steel-strong microfilament components. This typically means that they’ll last for longer. So you can think of a superline as an investment. Braid lines have incredibly low stretch, which makes them useful for fighting big or unruly fish. They will also cut through seaweed or other light obstacles. In terms of resistance, these lines fare pretty well: some (especially the non-coated ones) don’t suffer abrasion much, and they are waterproof as well as UV resistant. Their super thin diameter, paired with greater resistance, means that these lines are stronger and that they provide stealth as well as less drag (which equals better sinking capability). Also? Incredibly sensitive! Some braid lines (typically the older ones with coarser coatings) tend to suffer more from abrasion and damage. These lines are also not good at taking sudden shocks. I suggest that you use a softer rod or a shock leader! Superlines are also visible: unlike fluorocarbon ones, they might spook your catch away. The biggest issue with braid lines is that they tend to be unwieldy: they have no memory and only work with limited knots (like Palomar and Uni). Of course, these are the three basic and most used kinds— the ones that make the best use of tech and know-how available today. There still are some other types of fishing lines, like wire or silk, as well as various weights of line for fly-fishing. If you’re interested, do your research! While it might seem daunting to dive into the deep end of fishing gear and all its nuances, it’s not so hard when you have the right information in your hands. You’ve got to stay up to date on gear tech innovations in order to improve your game— especially if, like me, you have a bit of a competitive streak. Choosing the right fishing line gives you adaptability to your environment and weather/water conditions, the ability to target specific types of catch more easily, as well as an increased strength, manoeuvrability and resistance performance.So, whether you are aiming to beat your best friend’s fishing record or you just want to challenge yourself and have fun, you can use this handy cheat sheet to know what last generation fishing line you are going to purchase. After you’ve chosen your favourite line to complement the rest of your gear, relax. It’s easy to go crazy with the technicalities and forget to enjoy your fishing trip. When you have everything you need, it’s time to take a deep breath, use your new finds, and remember what the sport is really about: having loads of fun!